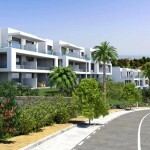 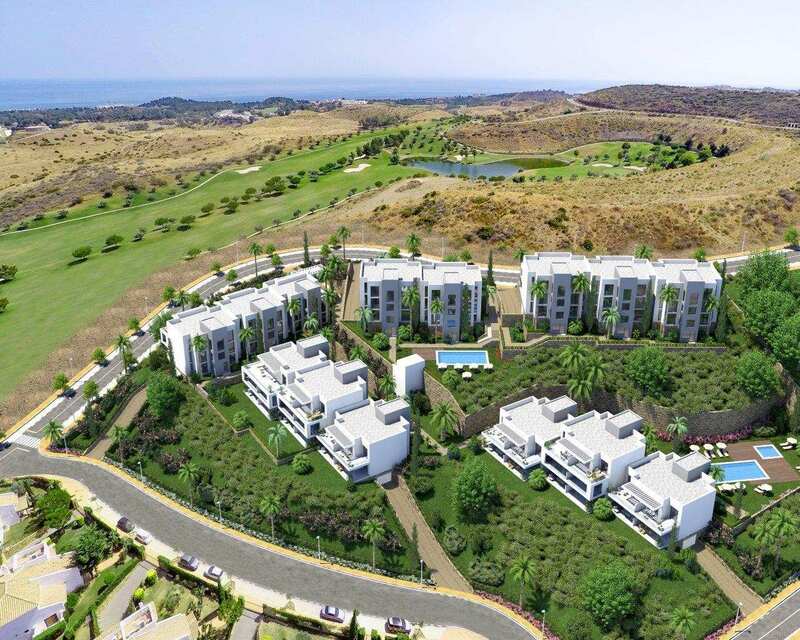 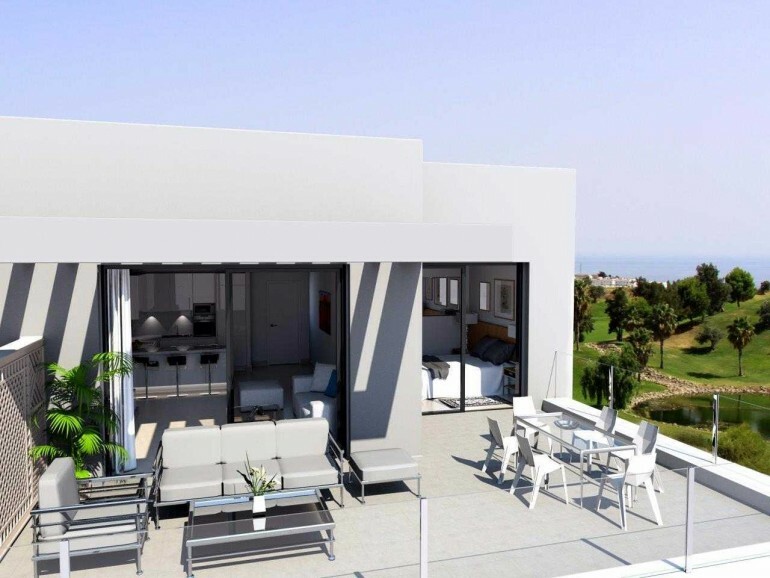 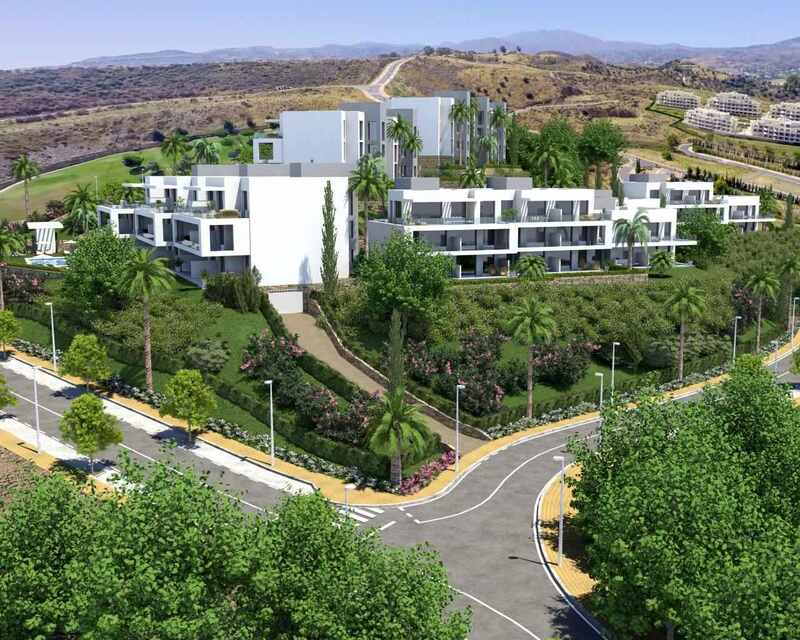 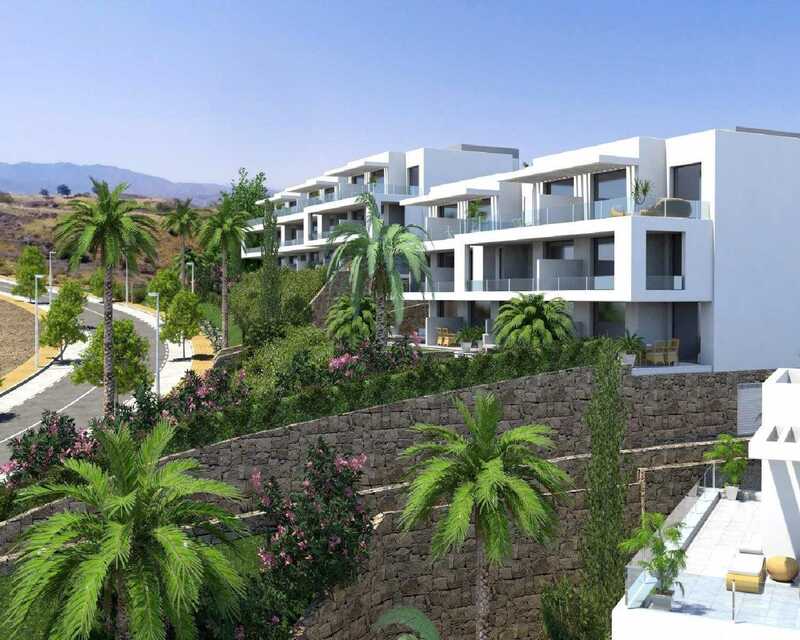 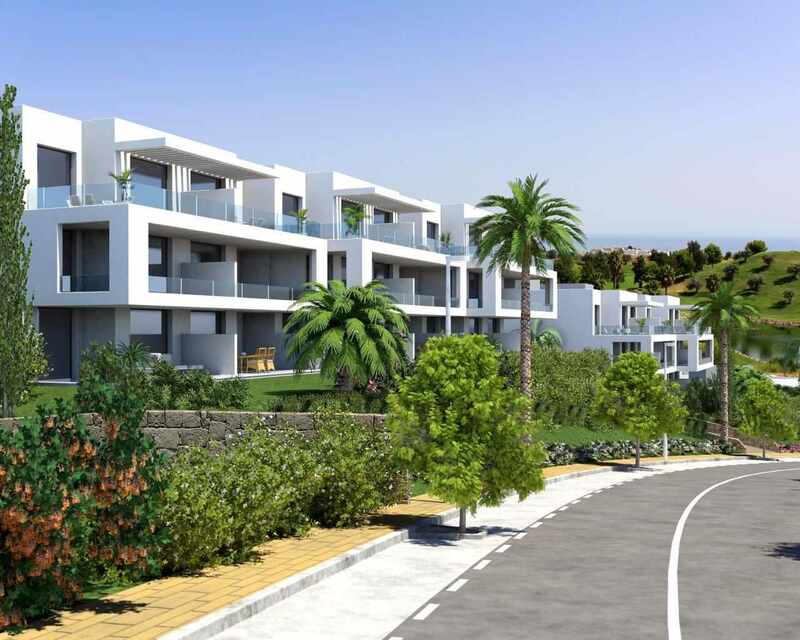 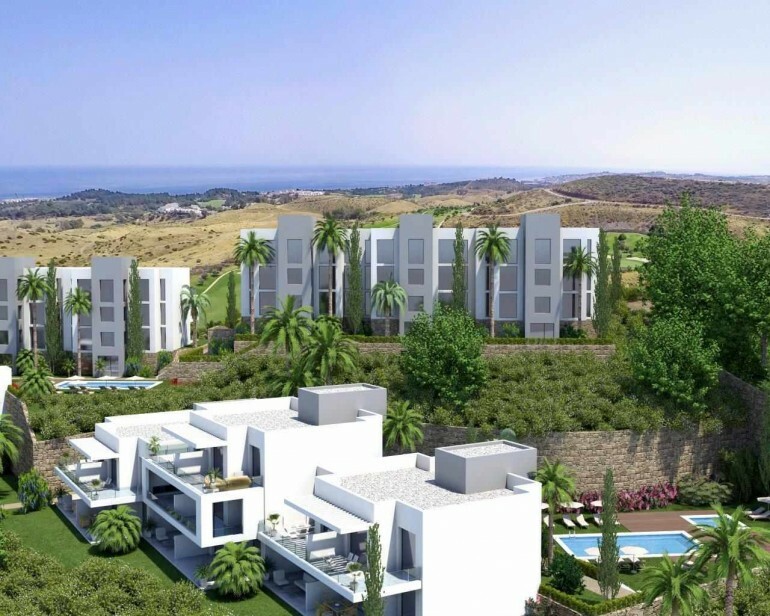 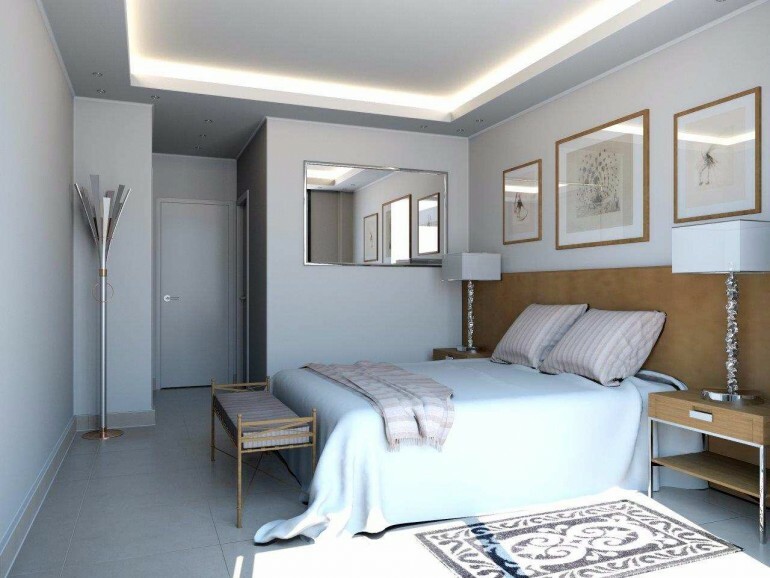 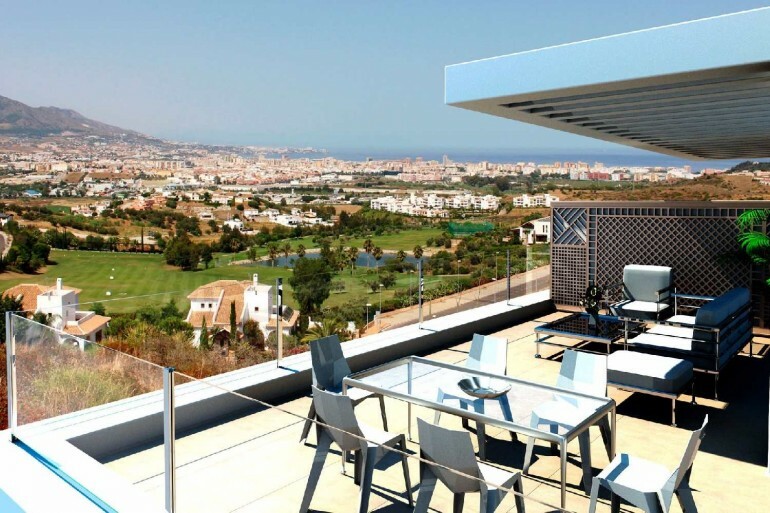 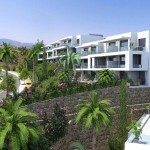 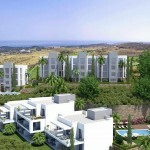 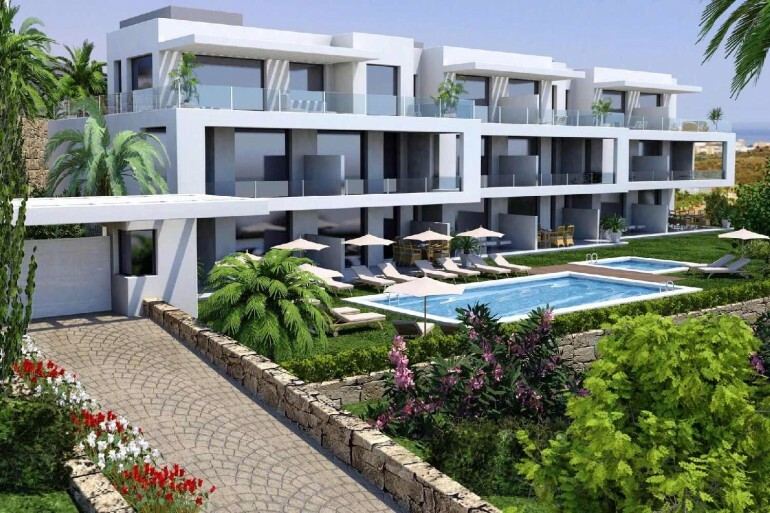 The development project is located on an elevated plot, within one of the best urbanizations at the coast, within the municipality of Mijas (Mijas Costa) composed of 76 apartments and penthouses of 2 and 3 bedrooms with spectacular views to the sea and golf. Enjoy a wide and fantastic common areas composed of gardens with trees and palm trees, with 3 swimming pools for adults and 2 for children. 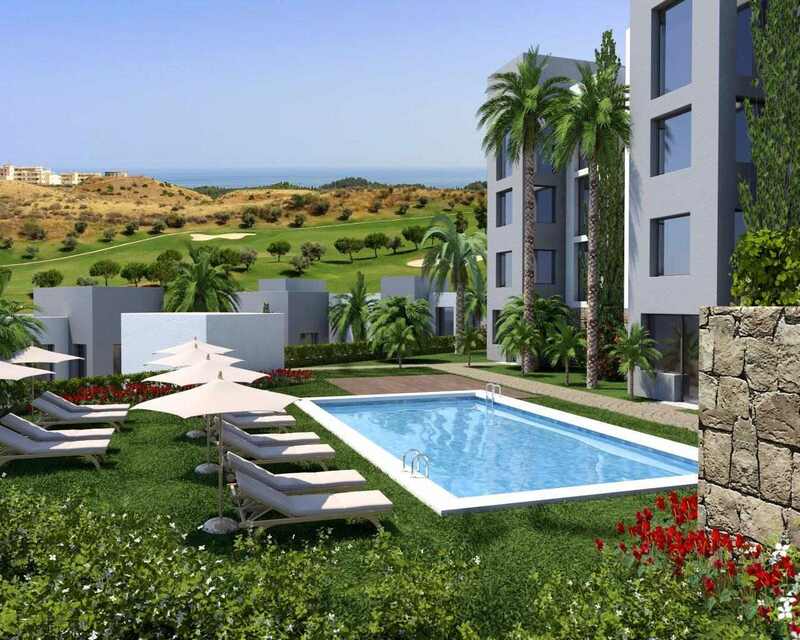 The urbanization has a golf course, golf club with cafeteria, restaurant and lounges, a large sports area, with gym, tennis courts, paddle tennis and basketball court. 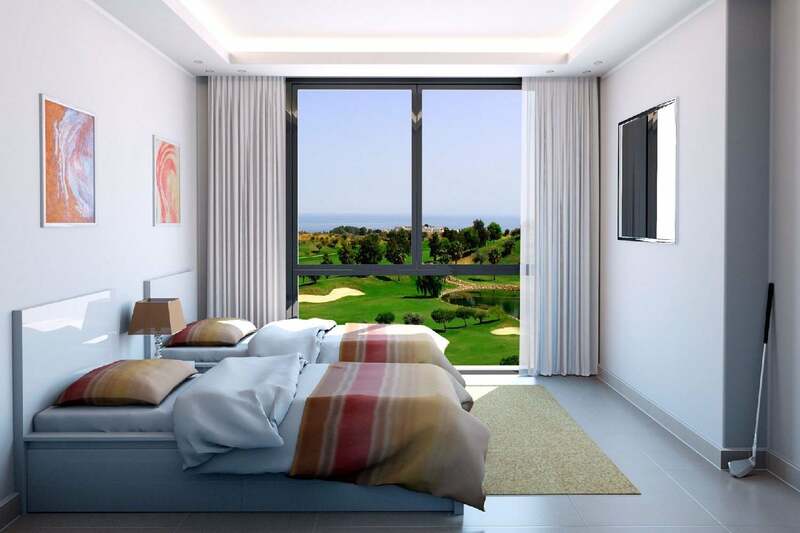 Its avenue / boulevard road infrastructure has access to the urbanization with security checkpoint as well as large roads with large steeps, car parks and garden areas all with magnificent views of the sea and only 2.5 km. 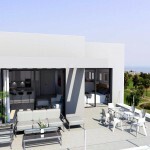 from the beach and the promenade of Fuengirola. 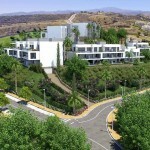 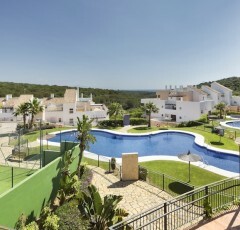 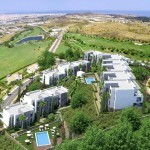 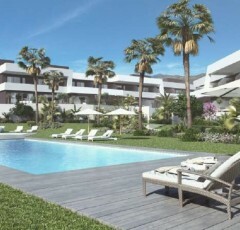 Strategically located in the middle between Malaga and Marbella, just 20 minutes from the airport. Paradise Golf enjoys the best commercial offer of the entire Costa del Sol: next to the Mijas Costa Hippodrome and the Miramar Shopping Center, close to: El Corte Inglés, Carrefour, Fuengirola Marina and the future Periurban Park, the largest the entire province of Malaga. 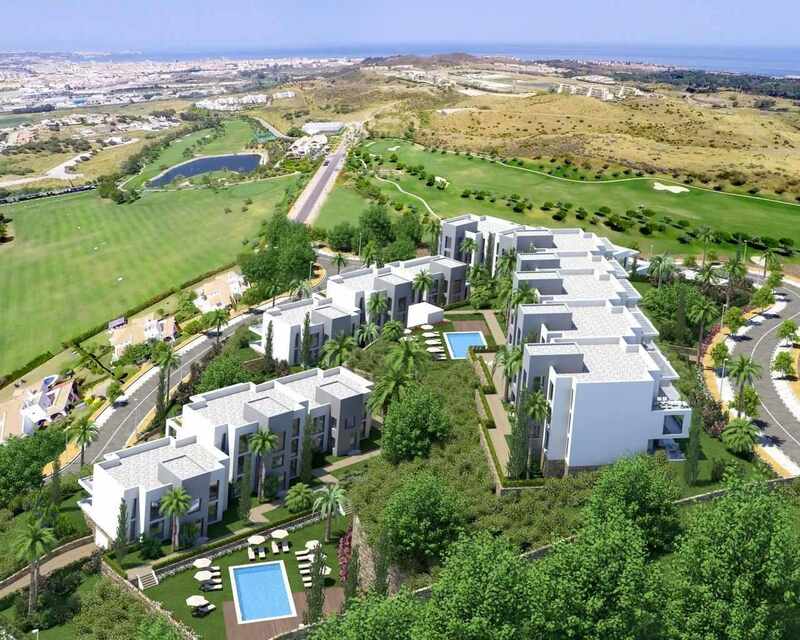 All this without forgetting the gastronomic offer of the area and the numerous golf courses that are in a radius of only 15 minutes. 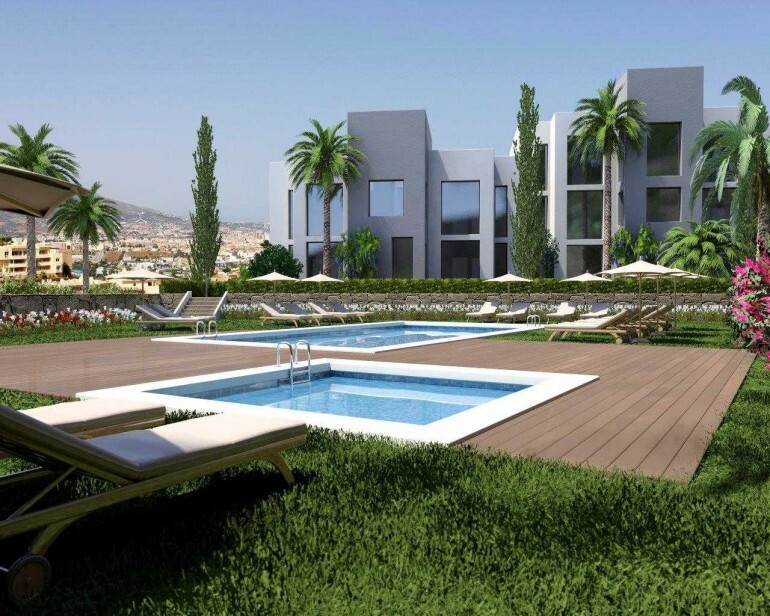 The constructed area occupies 7,606 m2 of the plot, leaving 9.296m2, for access to garages, interior walk ways, three swimming pools, and landscaped green areas, with hedges, flower centers, shrubs, trees and palm trees. 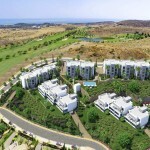 Unique is the placement of the five apartment blocks, which has been positioned in such a way, that all apartments have guaranteed magnificent views of the golf course and the sea. 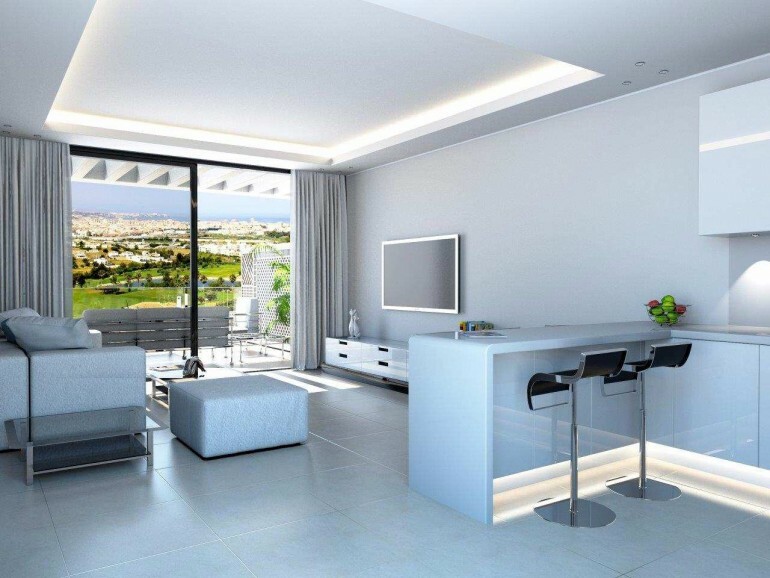 Kitchen furnished with modern design, with all appliances. 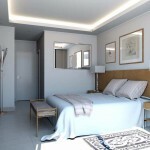 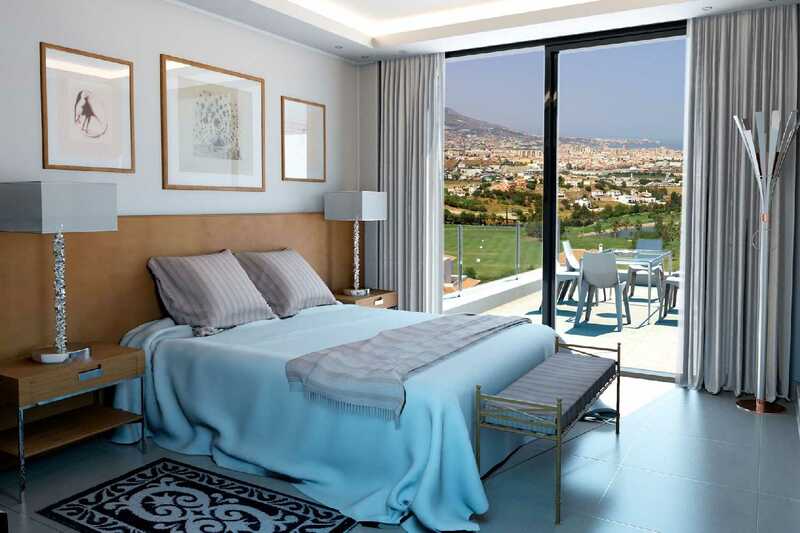 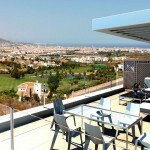 3 Bedrooms apartments-penthouses 470.000 € with 233,08 Sq.M built (104,04 Sq.M in + 129,04 terrace).